My friend works at the Chinese business-lifestyle magazine, CBNWeekly. She asked me one day if I could work with her to try something new. 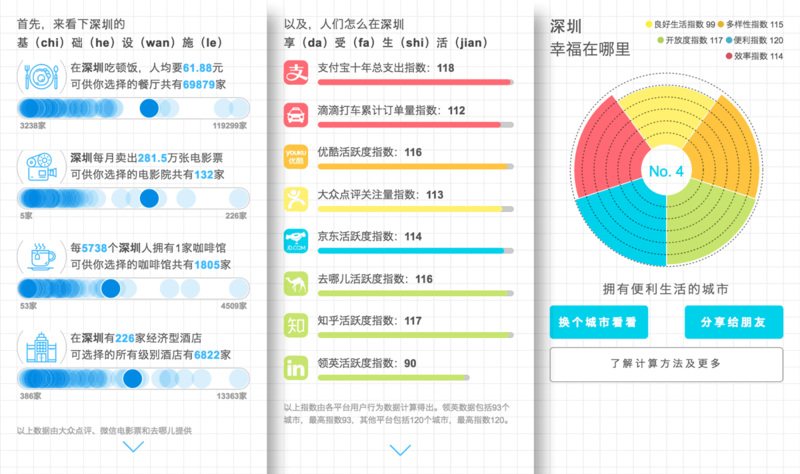 Lightweight mobile-based single-page app was trending in China back then. She wanted to make an app like that out of the business data she had been collecting for years. Which city has the most coffee shops? In which cities are users of online dating app based? How about LinkedIn China users? 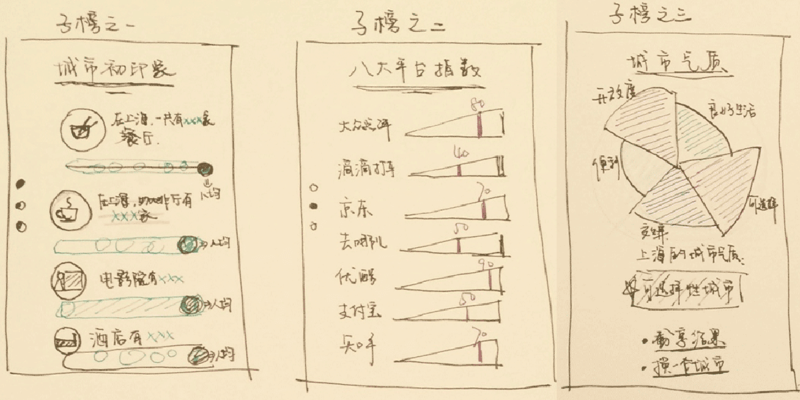 She collected these data from governoment agencies and businesses, trying to measure the quality and happiness of young professionals’ life in Chinese cities. I was on board. The talented designer from her team drew all the city icons. I designed the visualization and user interaction part and built it in the browswer. One year after that, I worked with the team on another project.